Johnson County suffers many storms throughout the year and roof damage is inevitable. Sometimes you can need an emergency roof repair in Johnson County because of a storm that caused damage so much that you need someone to come fast and fix your roof. 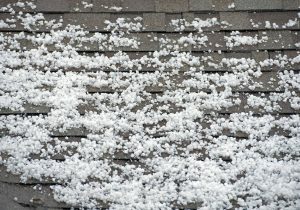 With the storms that are unique to this part of the country, Johnson County, your roof will be susceptible to roof repair and sometimes it will be an emergency. Strong Winds From Storms Can Cause Wind Damage. Strong Rain That Lasts an Extended Period of Time. If Your Roof Has Gone A Long Time Without Maintenance. Has any of those happened recently to your home? If so, it could be a reason we should come to your house for a free inspection. Otherwise, the next storm could cause an emergency roof repair situation.